Through more than 20 years, Howell Belanger Castelli Architects has provided professional Architectural, Planning and Design services for corporations, institutions and individuals both domestic and international. We have completed over 1800 commissions in 46 states, the District of Columbia, Canada and Puerto Rico. 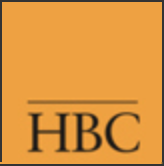 While our designs may be noted for new or unique ideas, HBC is committed to understanding each project’s problems and solving them with economically appropriate answers carefully documented and delivered in a timely manner. This, followed up with close monitoring during the course of a project will ensure success for our clients. Our extensive portfolio of experience demonstrates a clear understanding of local, regional and national issues affecting project in addition to our client’s needs. The Firm offers both full A/E services in addition to collaboration with other design and construction companies nationwide. You should be a premium user to contact Howell Belanger Castelli Architects, P.C.